The Severalnines team is pleased to announce the release of ClusterControl 1.2.4. This release contains key new features along with performance improvements and bug fixes. Multi-cluster support. Share one Controller Node with multiple clusters. 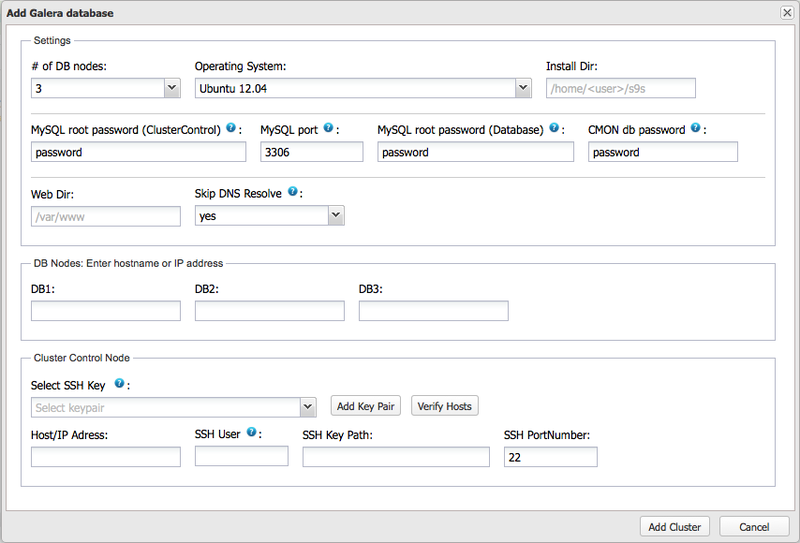 AWS deployments now use our web site to generate a database configuration. Deploy the latest GA version of Galera/MongoDB. Monitor existing Galera Cluster: Sometime back, we published automated scripts to install ClusterControl on top of an already deployed DB Cluster. But since we still get a lot of questions on how to do this, we decided to add this functionality to ClusterControl. Schema Analyzer: This feature reviews the schema on all your nodes and flags any adjustments that might increase performance and stability. One example is the detection of redundant indexes. Because MySQL supports multi-column indexes, it’s easy to accidently create “duplicate” indexes, indexes that add overhead to DML and do not aid in speeding-up SQL execution. They make the optimizer phase slower as there are more query plans to examine. More index statistics need to be maintained. And now that your data takes more disk space, backups are bigger and slower. 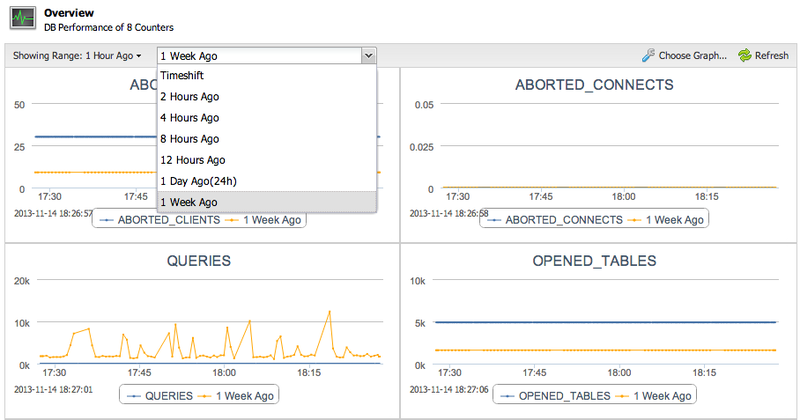 The schema analyzer also flags for MyISAM tables or tables without primary keys. These are known to cause problems so we’d rather have users steer clear of them. Online Backup Storage in AWS S3 and Glacier: Backups can now be stored either in AWS S3, Amazon’s online file storage service, or Glacier, Amazon’s lower-cost storage/archiving service. Sending backups off-site ensures systems and servers can be reloaded with the latest data in the event of a disaster, accidental error, or system crash. Multi-Cluster Support: In previous versions, although you could view all clusters in the same UI, you still needed a dedicated controller per managed cluster. You can now use one controller node to manage multiple clusters. New Built-in Galera Configurator: The user interface for the built-in Galera configurator has been simplified, it is now a one-page wizard similar to the Online Galera Configurator. Time shifted stats/graphs: This feature allows you to see how a particular metric compares to some point in the past, and is common practice in troubleshooting or capacity planning. In the below screenshot, we’re reviewing the past hour of data and overlaying it with a time-shifted span of the prior week. 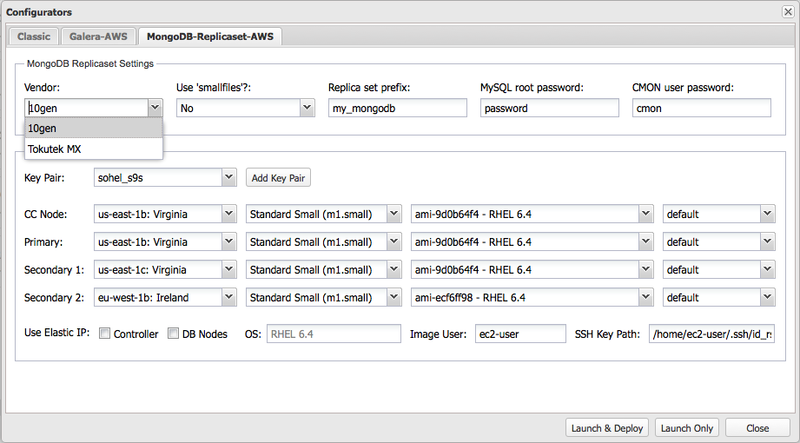 MongoDB ReplicaSet Deployment on AWS: You can now use the built-in Configurator for MongoDB to deploy a ReplicaSet on Amazon EC2. ClusterControl uses your Amazon keypair to spin instances in the selected Regions/Availability Zones before deploying the selected software. Stats counters for TokuMX engine for MongoDB: TokuMX, being a modified version of MongoDB, has introduced additional probes to monitor cache usage and fractal tree status (e.g. ft.cachetable.miss.count, ft.locktree.size.current, etc.). The full list of TokuMX specific counters have been added to ClusterControl. We encourage you to provide feedback and testing. If you’d like a demo, feel free to request one. Thank you for your ongoing support, and happy clustering!